One of the biggest differences between TeamSupport and the rest of the solutions on the market is understanding the importance of being able to track specific product versions to a customer and a ticket. The development/product management team can define every product and version within the Products section. By defining this information, you will have quick access to these versions from the pull down menu. The Products Section on the left hand navigation lets you easily see what tickets are associated with each product, version, and customer, and where you define all of your Product Lines, Products, and Versions. As you can see, the design of TeamSupport makes it very easy to tell what Product Lines, Products and Versions you provide. Organizing the data in this fashion will not only save everyone time, but also consolidate information needed to provide outstanding customer service! Click on the Product Lines header under the Products section. Multiple Customer Hubs: You have the ability to create an unlimited number of Customer Hubs based on your Product Lines. Configuring Multiple Hubs along Product Lines will give your Customers a further refined self-help tool. Email Templates: Creating customized Email Templates is a powerful option which can allow you to specify different logos on email responses based on the Product Line (by way of Product) that is selected on a ticket. When you select a product on a ticket, the appropriate email template will be used based on your configurations. 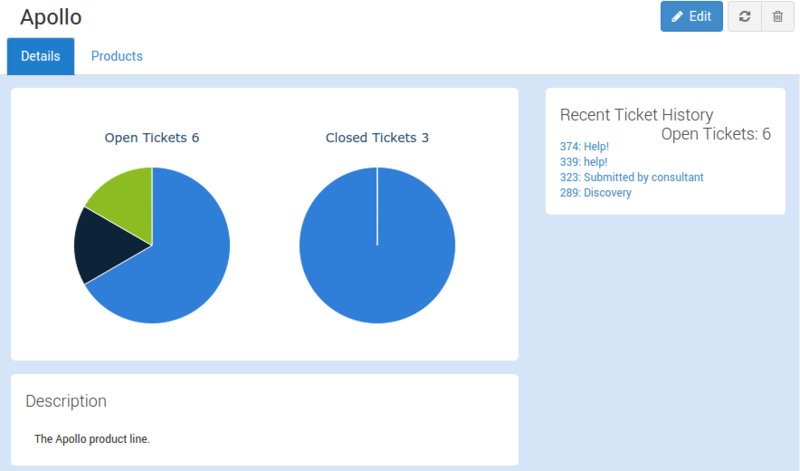 Ticket Types: Ticket Types may be filtered based on the Product selection within the TeamSupport app, and on the Customer Hub. 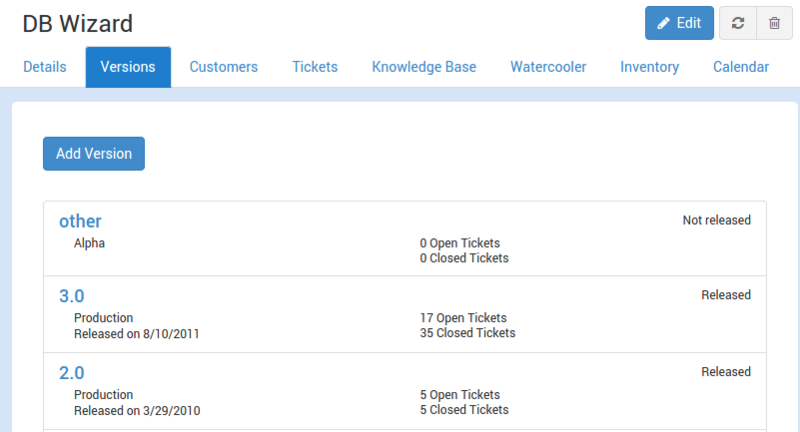 This is useful if you would like to display specific Ticket Types based on the Product that is selected on a ticket. User Rights: User Rights are a key component of Product Lines. You may want certain users to only have access to tickets that are of a certain Product Line. Setting Product Line User Rights for a user will limit ticket access site wide to only those tickets that have a matching Product Line (by way of Product) OR have no Product association. Custom Fields: Custom Fields on Tickets are very useful, and can also be applied to Product Lines. Custom Fields for Product Lines will be displayed on the main page of the Product Line and are fully reportable. Some Custom Field Categories (like in the Customer table) can also be created against a Product Line. Action Types: You can specify a list of Action Types that a user can select from when creating an action from within TeamSupport. A use case for this might be to specify that a user spent time on billable vs non-billable work, or to document a phone call. Action types can also be linked to Product Lines. Tasks: Edition: Enterprise Only. The Tasks feature allows you to indicate a Product assignment. Ratings: TeamSupport can present your customers with an option to leave a rating for their support experience on each ticket. You have the option to filter the ratings based on the Product Line that is associated to the ticket. Customer Files: You may attach any number of files to your Customer records. When attaching, you may also indicate the Product Line that is associated to the file. This will allow you to upload multiple files on a Customer record that are Product Line specific. Reports: Product Lines are available to report against in our Reporting module. Groups: Groups may be associated to a Product Line. This allows them to be filtered based on the Product selection within the TeamSupport app, and on the Customer Hub. Customer Activities: If you learn intel, or engage with your Customers in any way outside of a ticket, these interactions can be added as Activities. Activities organize non-ticket related information that the whole team can use to understand and build the Customer relationship including phone calls, site visits, new employees, ect. Jira: Jira can be setup as a third party integration to map the Jira Project and TeamSupport Product in the Jira Integration section. The relationship between the TeamSupport Product and/or Product Version to the corresponding Jira Project is made by indicating the Project Name in this section. There is a Project Key field on both the Product level and the Version level. A Jira Instance selection will also be available if you have multiple Jira instances defined. TFS Integration: Team Foundation Server (TFS) can be setup as a third party integration to map TFS Projects and TeamSupport Products. In the TFS Integration section, you can define TFS Project Names for Products and Versions that will be used for new syncs. 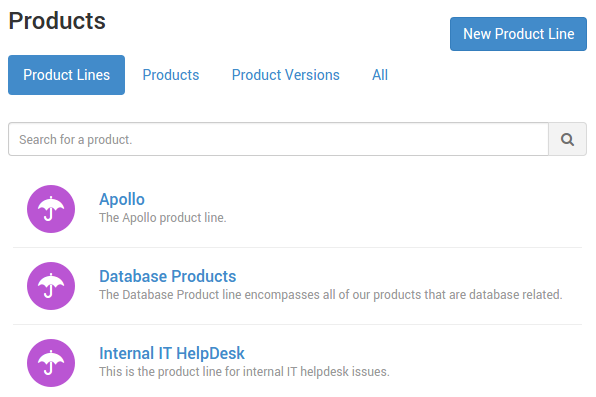 The relationship between the TeamSupport Product and/or Product Version to the corresponding TFS Project is made by indicating the Project Name in this section. There is a Project Key field on both the Product level and the Version level. Select any Product Line and details will be displayed including Ticket history, Custom Fields, and a Product list. Click here to learn how to add a Product Line. 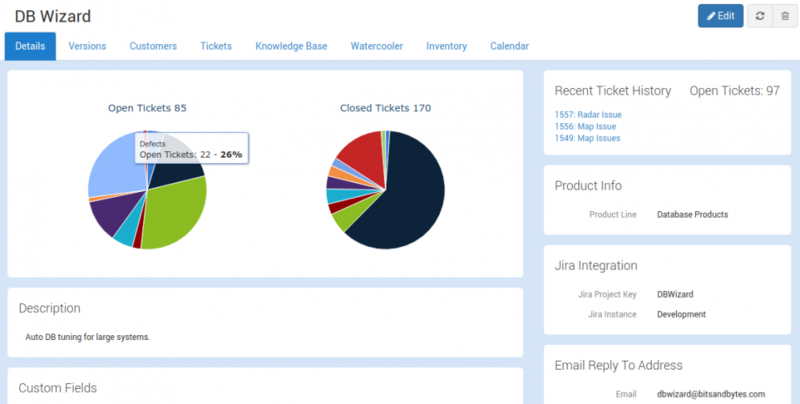 Details Tab – Contains important information on the Product or Version including Open Tickets, Recent Ticket History, SLAs, Jira Integration, TFS Integration, and Custom Fields. On this tab you can indicate an Email Reply To Address. This field is a pick list that pulls from your available Alternate Email addresses. These email addresses are defined in Admin->Email -> Alternate Email in the “Sending Email Address” field. When an agent creates a ticket manually and adds a Product to the ticket, the corresponding Email Reply To Address will be used on the outgoing emails for that ticket. Versions Tab – Version information allows you to update what changes and fixes have been put in place. You can also upload version updates so they may be downloaded by customers on the Customer Hub. When making the association, you are presented with the option of setting an expiration date for this individual product. If the product support has expired, the customer can be limited to what they can view and download from the Products section on the Hub. The setting for this can be found under Admin->My Portal->->Customer Hub Settings->Login Settings>“Honor Support Expiration”. The result of this selection can be seen by selecting the customer tab within the Products section – or the Products tab within the Customer section. Tickets Tab – Easily find tickets that were resolved as a result of a new version. Click here to learn more about associating products and versions to tickets. Knowledge Base Tab – Any Knowledge Base articles that have been associated to the Product or Version will be displayed here. You may filter Knowledge Base articles on the Customer Hub based on the Product selection. Files Tab – Another great feature in the Products section is that you can attach files to product versions. This is commonly used to upload the newest version of software so that your customers can download it from the Customer Hub. When a customer goes to the Hub and clicks on the Products section, they will have the ability to download the most recent versions of your software. The “Downloaded Products” report in the Reports section provides tracking of what user downloaded what versions of your software. The maximum file attachment size is 25MB per file. Water Cooler Tab – Any Watercooler posts that have been associated to the Product or Version will be displayed here. Inventory Tab – Any Inventory Assets that have been associated to the Product or Version will be displayed here. Calendar Tab – Any Calendar Events that have been associated to the Product or Version will be displayed here. Edit – Click the Edit button to change from Blue to Green which indicates you are in edit mode. Click again to exit edit mode. Please note that the ability to edit Products and Versions depends on user rights. Delete – Allows you to permanently delete the Product or Version. Please note that the ability to edit Products and Versions depends on user rights.